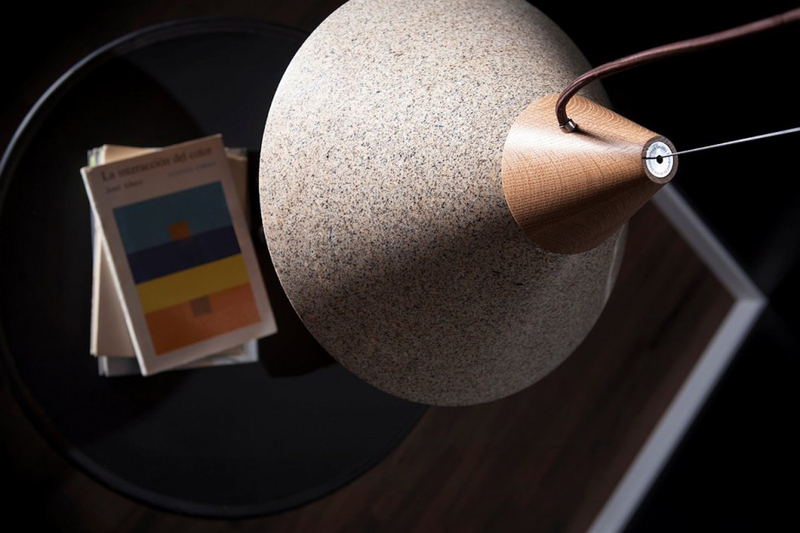 Until not so long ago, concrete was more or less reserved for construction only, but slowly we’ve seen it used in interior design more and more – from furniture to finishes and decorative objects. 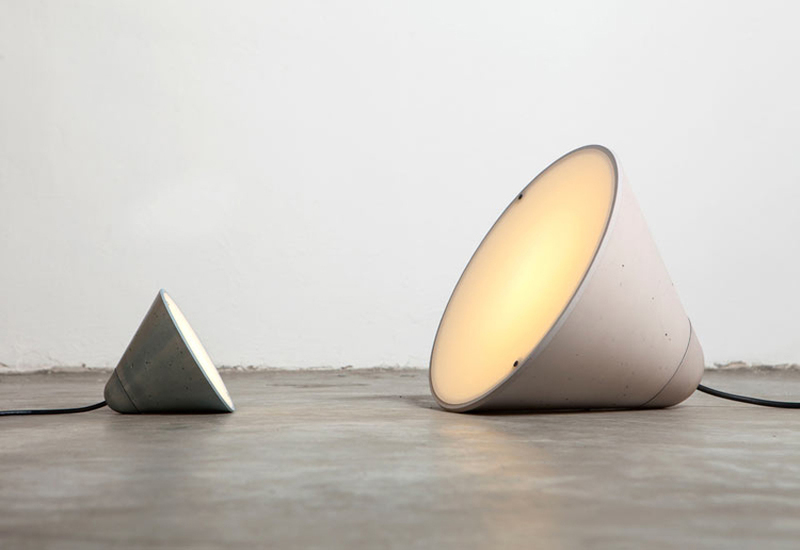 Totem Light channels 80s Memphis Milano in its pastel accents and geometric form. 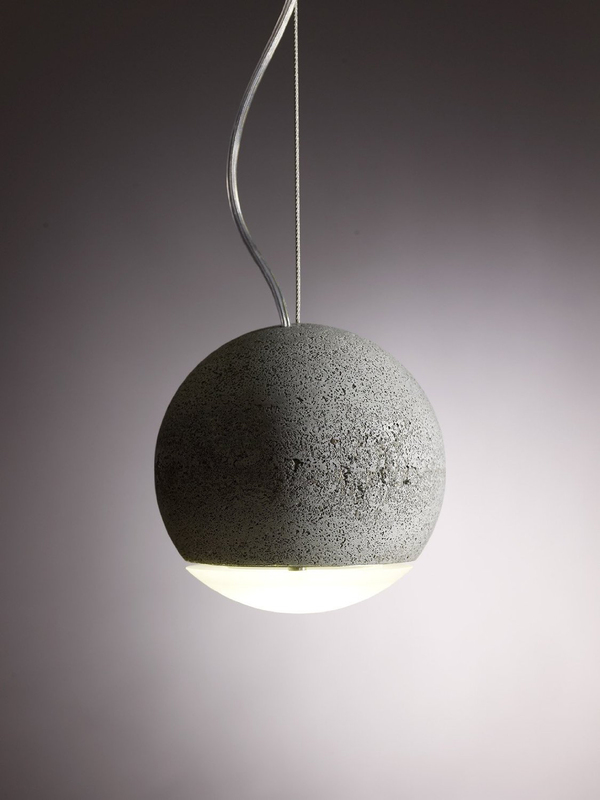 Concrete and glass meet seamlessly to form a perfect sphere, we love the simplicity of Joachim Manz’s Trabant Pendant Lamp. 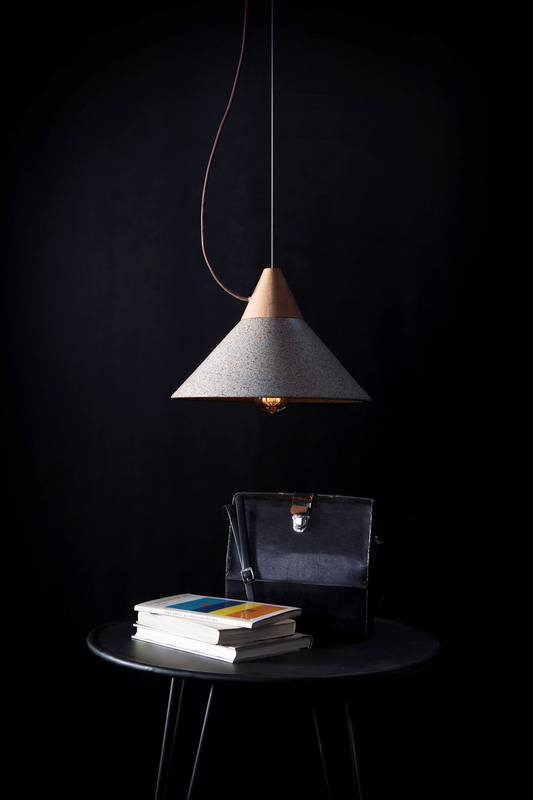 Austrian designer designed a multifunctional lamp encased in concrete, with a stiffened saddle-leather strap for the utmost portability. 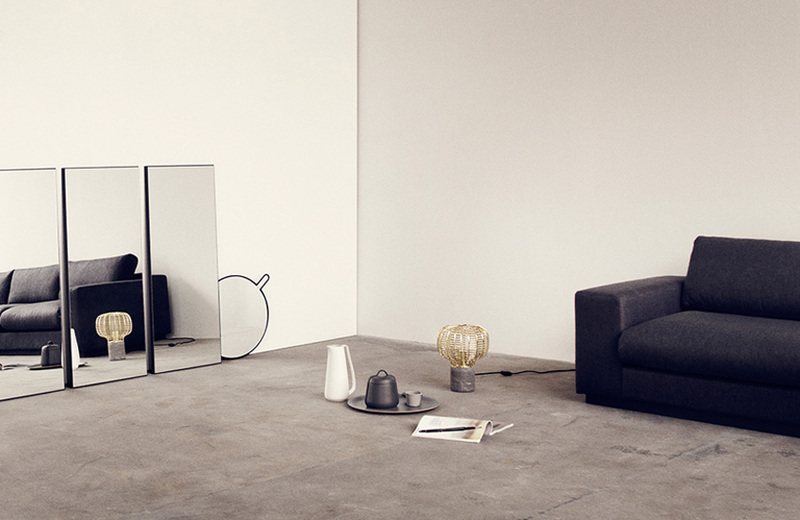 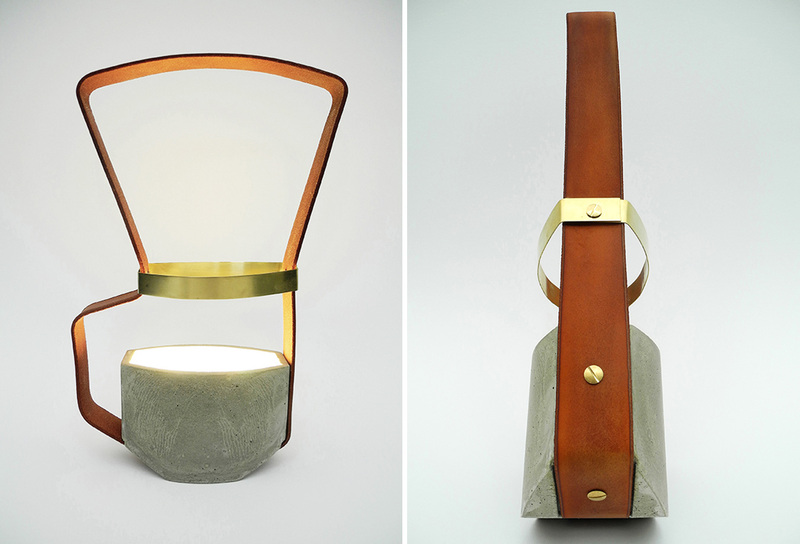 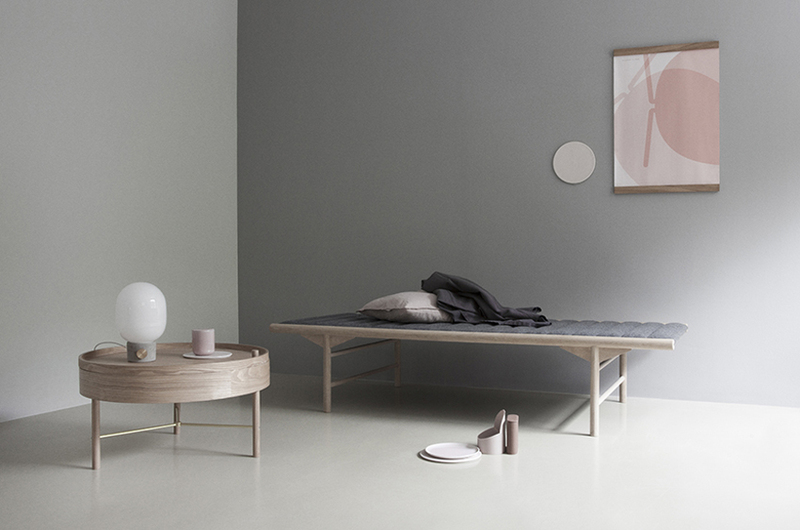 The light is inspired by nomadic life and the revival of this flexible lifestyle. 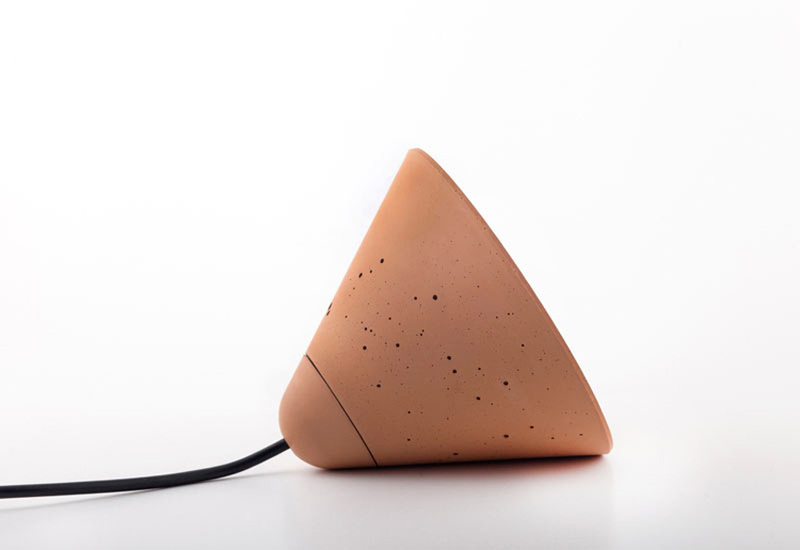 See more about the project here. 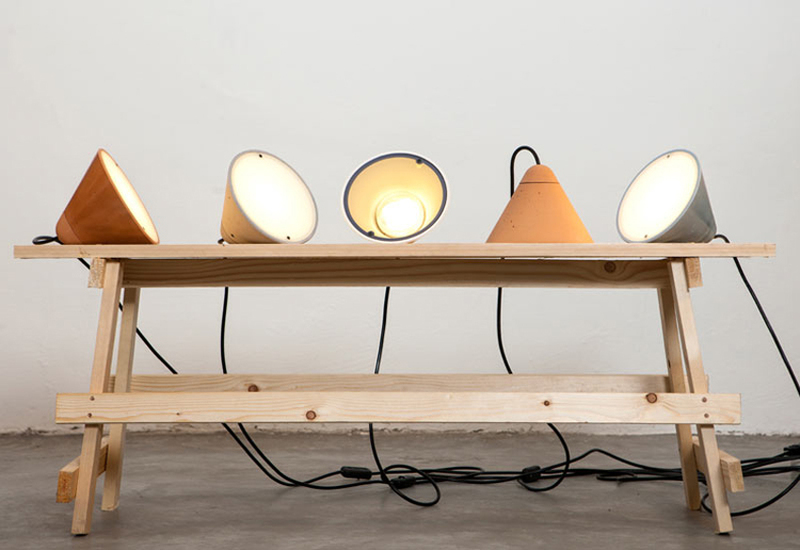 Chinese studio creates furniture and lighting using cement and occasionally bamboo accents. 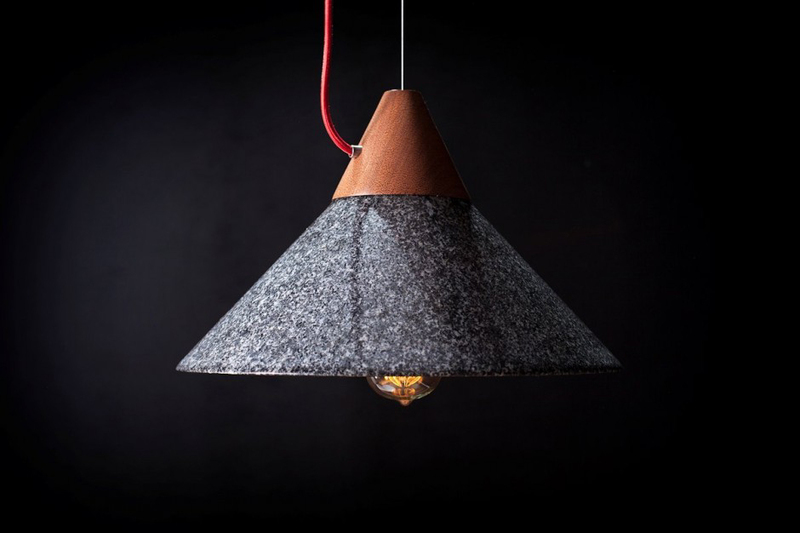 These products are a beautiful example of the possibilities of construction waster recycling. 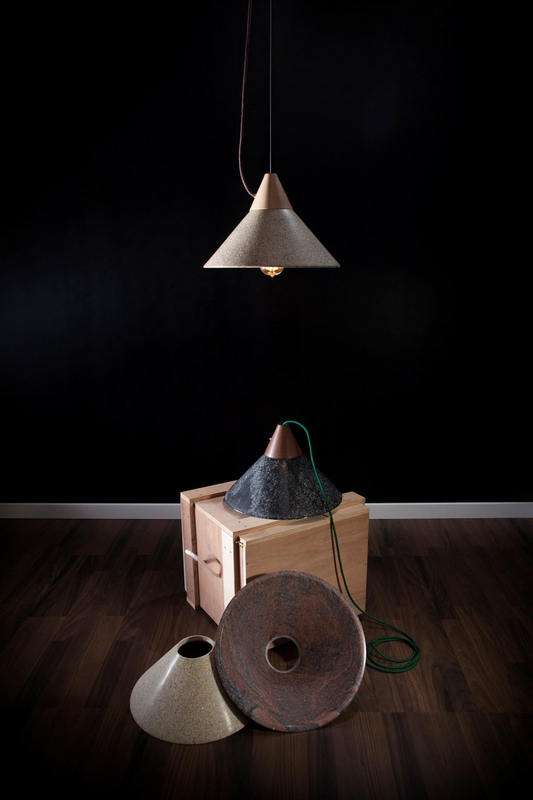 See more about the project here. 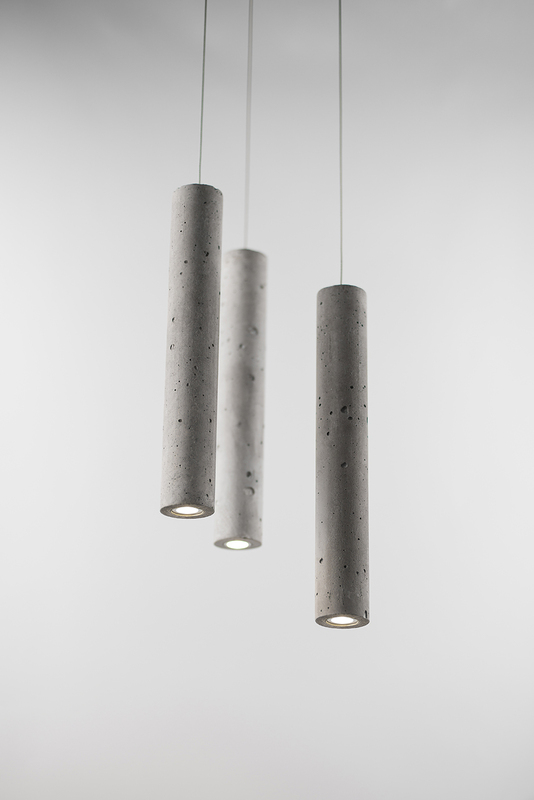 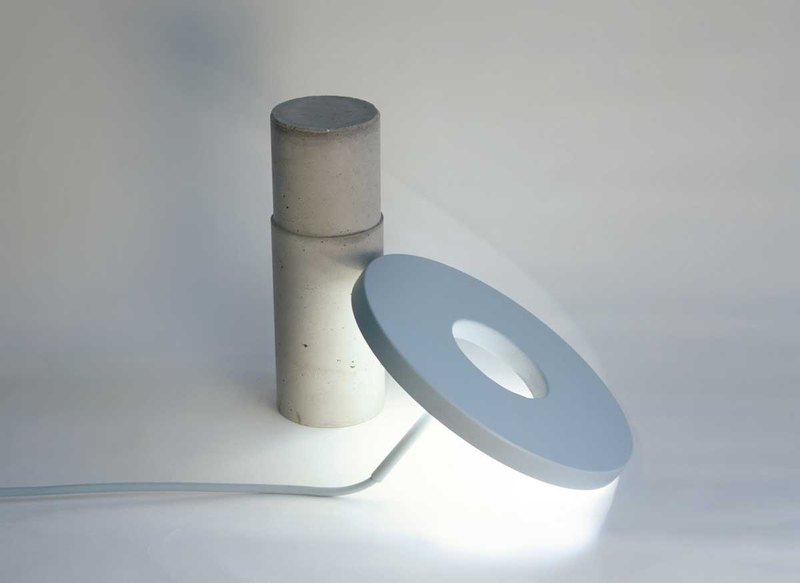 Concrete Lamp by Berlin-based studio is a nice reminder concrete doesn’t equal grey. 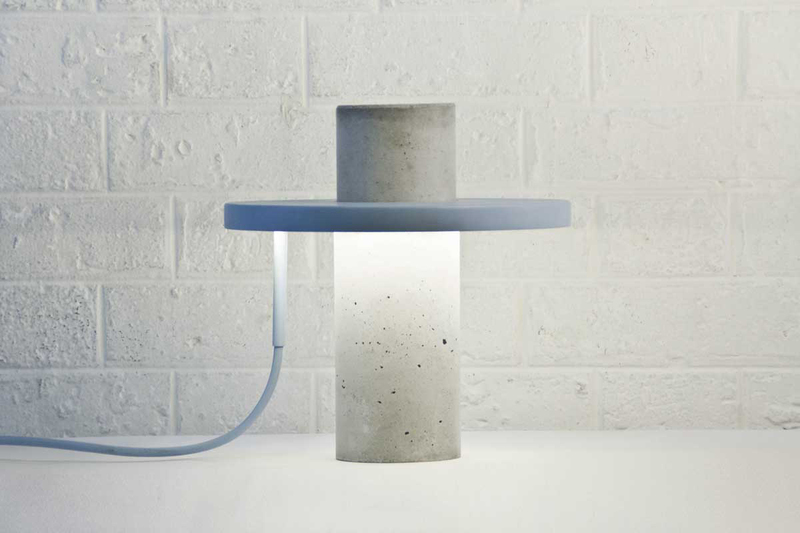 We’ve spoken about a love for tinted concrete before, and these lights are further proof it’s a hot way to treat the versatile material. 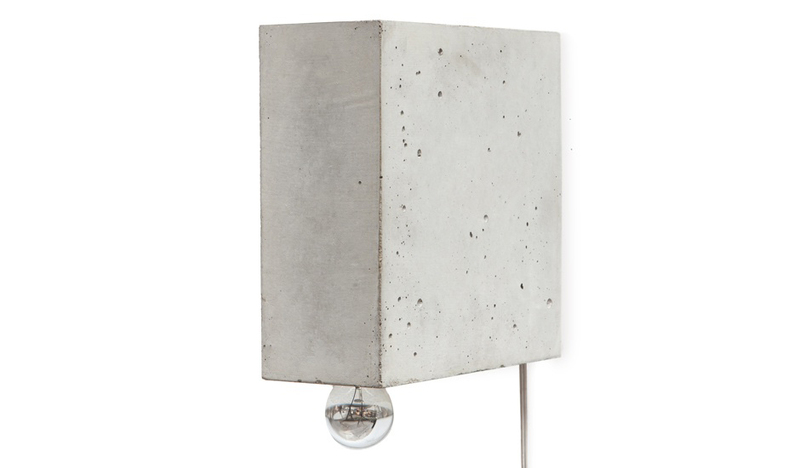 The Beton Concrete lamp by German-based features a recessed light source, making it suitable for a range of applications including mounting on the ceiling, hanging on the wall or placing on the table. 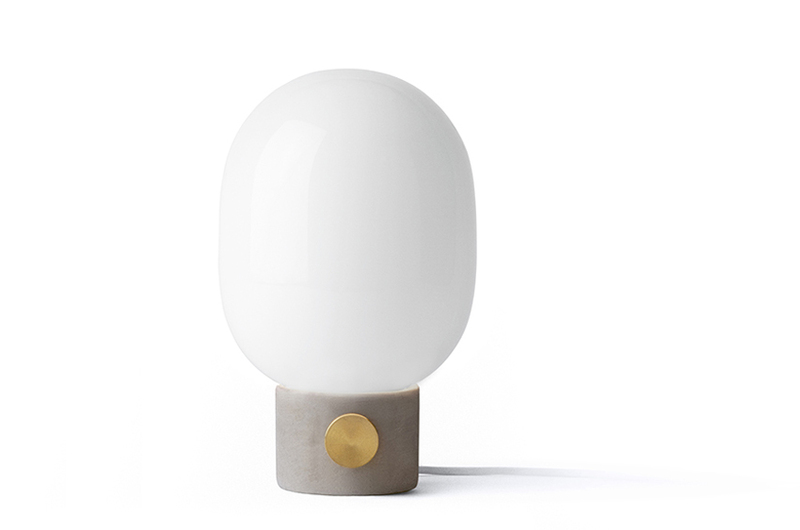 A winning combination of brass, opaque glass and concrete is used by in the design of his Concrete Lamp. 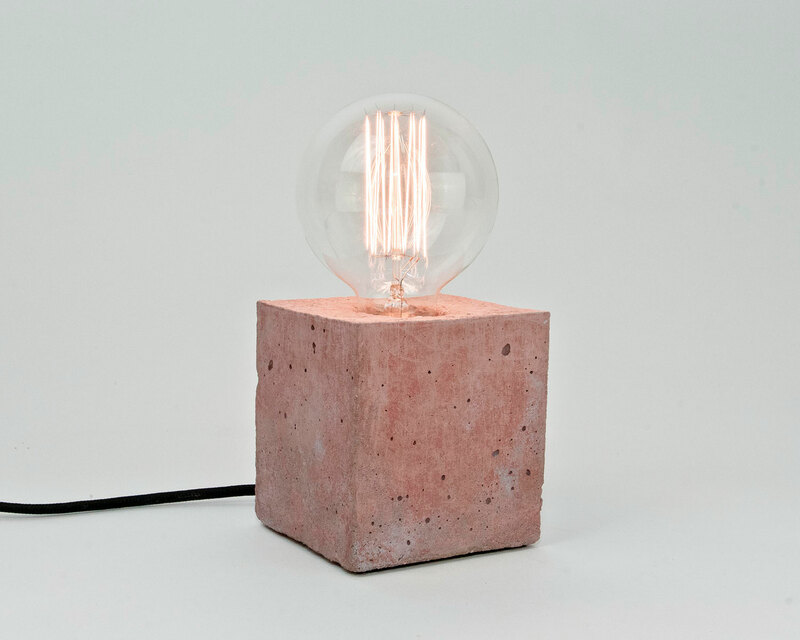 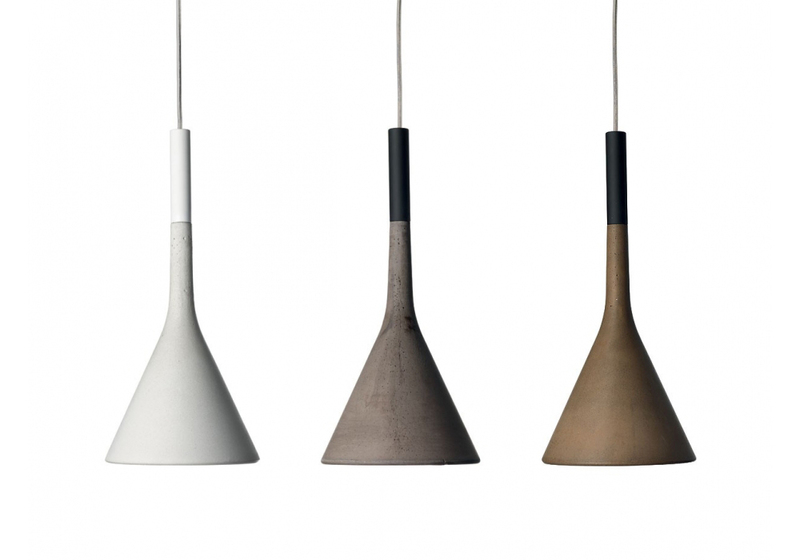 Concrete Lamps by and are available in beautiful dusty tones, proving concrete doesn’t equal industrial and minimal. 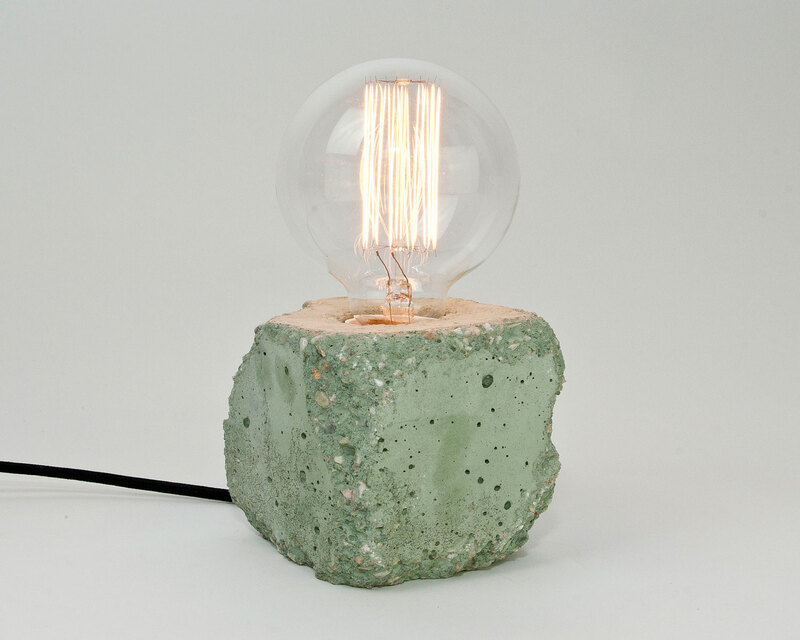 experiments with crumple cast concrete in his ‘Concrete Lights Experiment’ design. 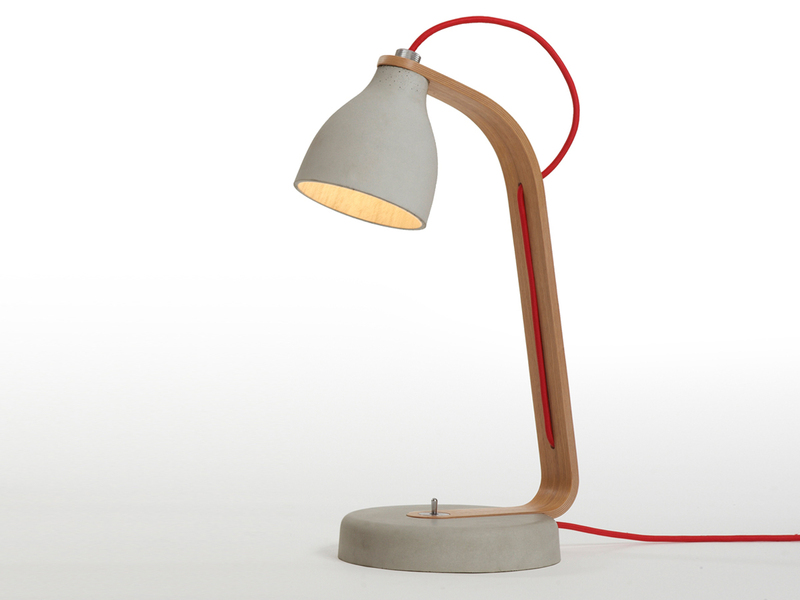 The Bryant Concrete Table & Desk Lamp from – a modern take on classic lamp styles. 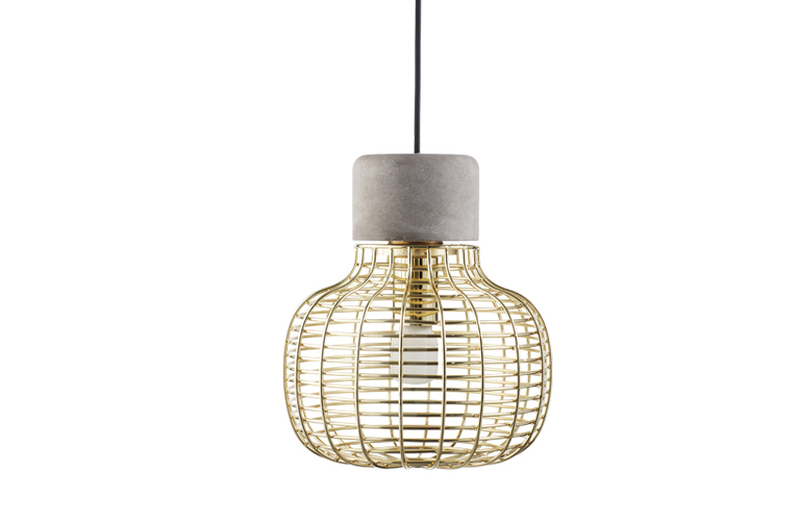 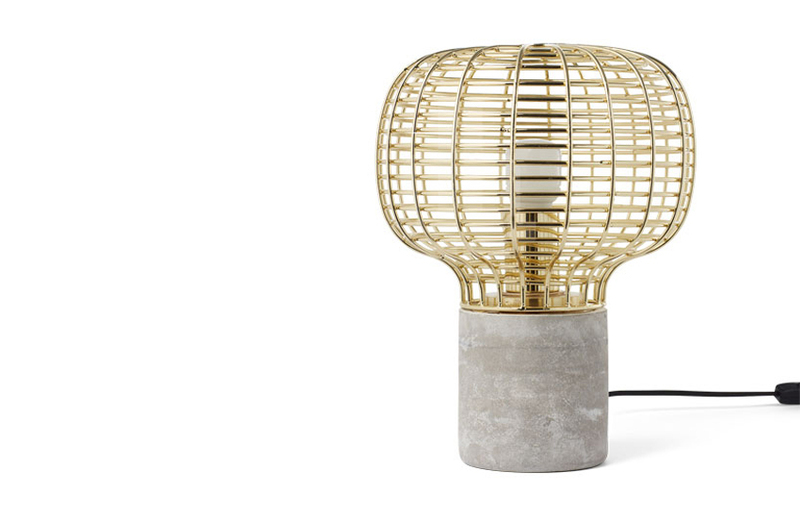 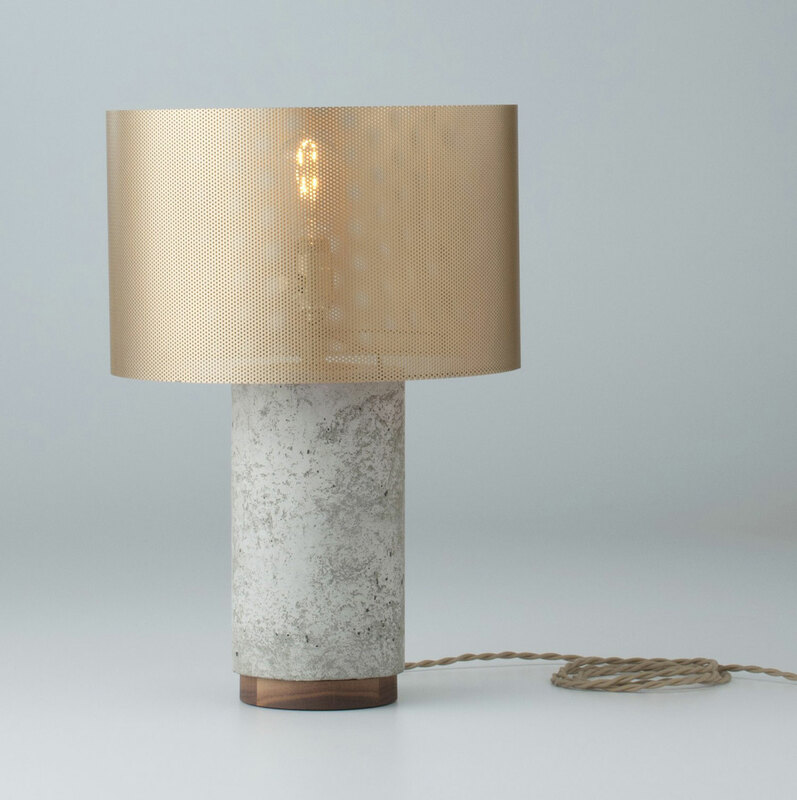 We love the perforated brass shade and base, concrete’s best friend in our eyes. 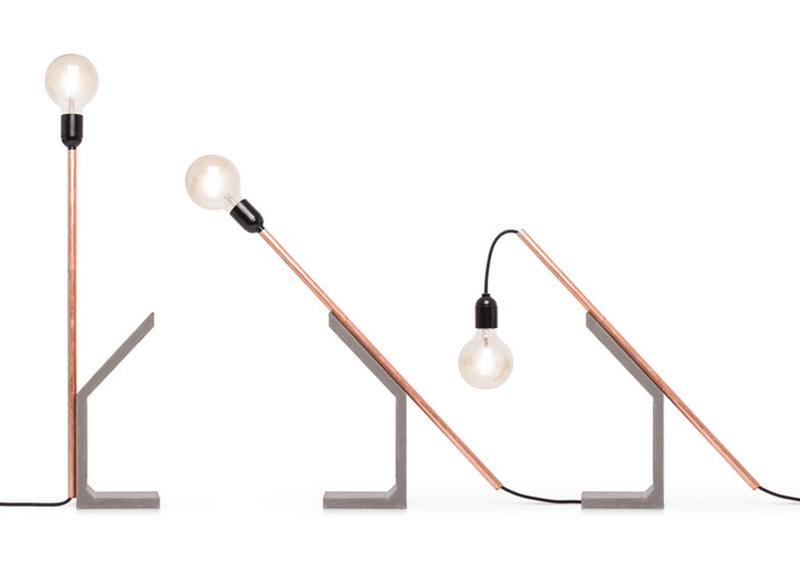 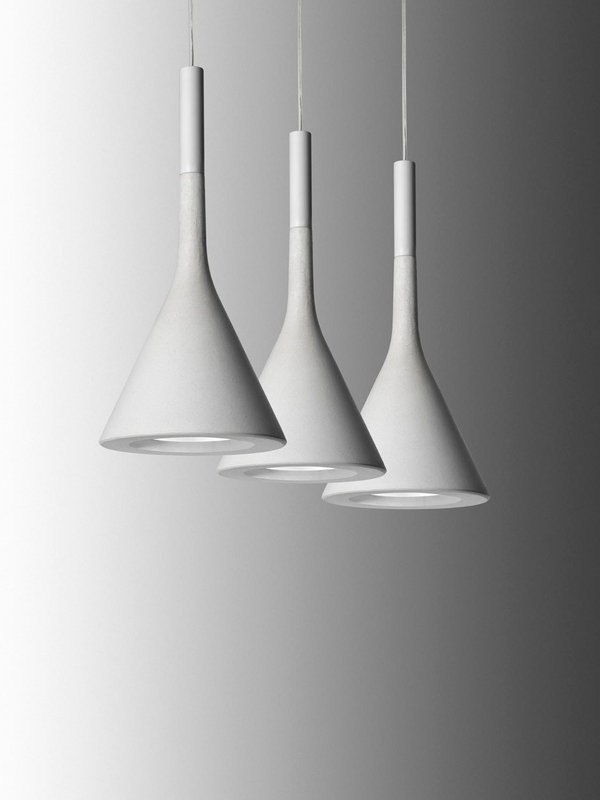 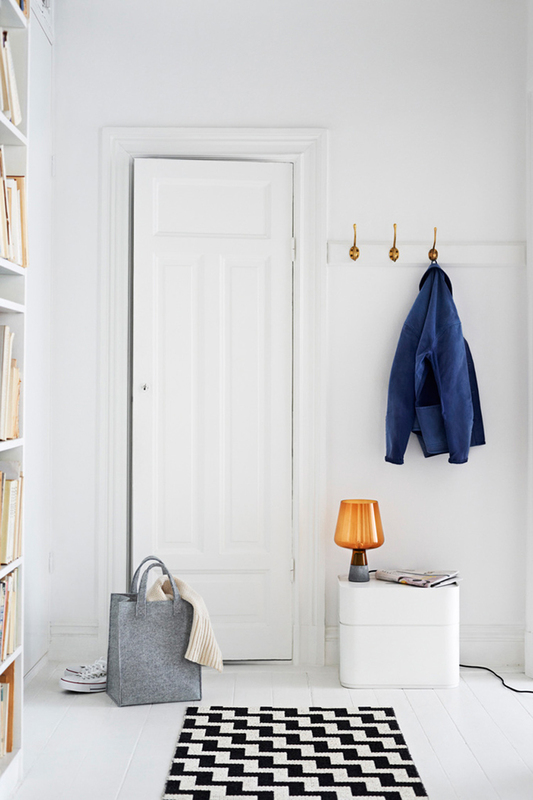 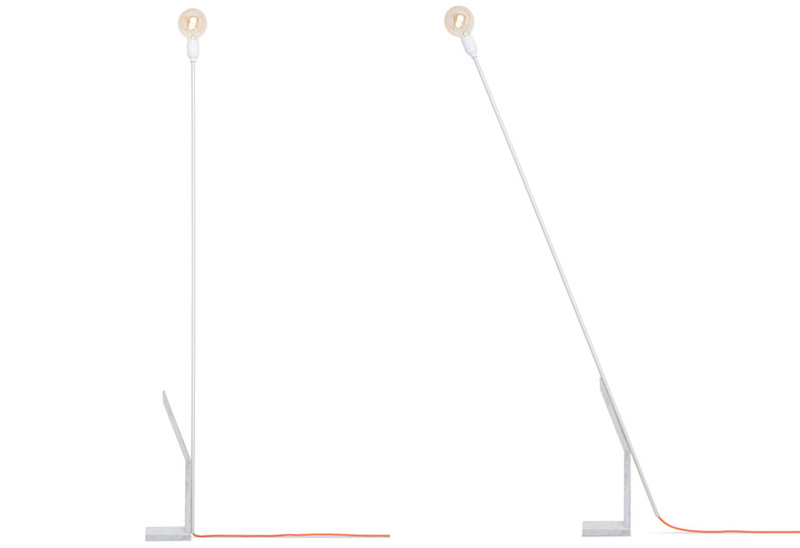 How perfect are the trumpet-esque proportions of the Aplomb Light by ? 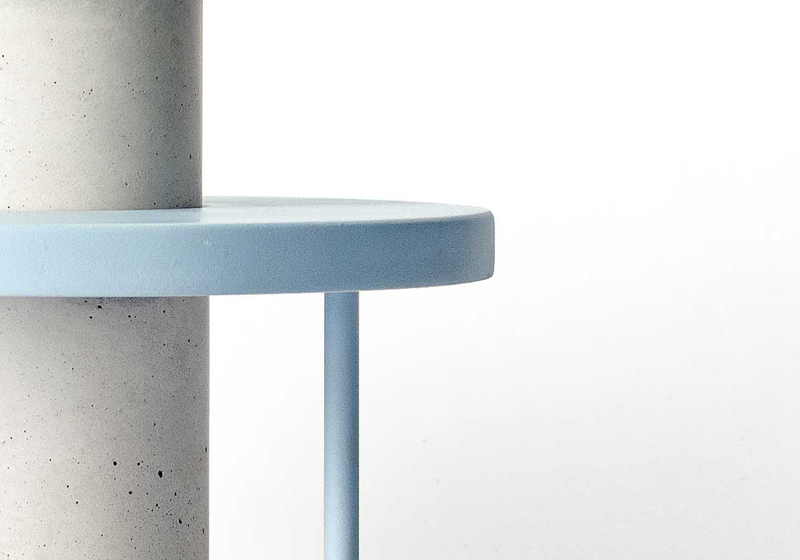 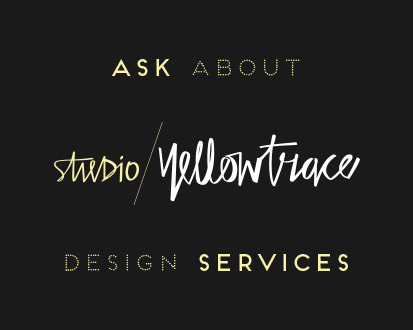 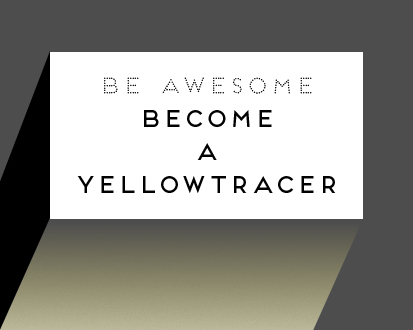 A playfully refreshing approach to form. 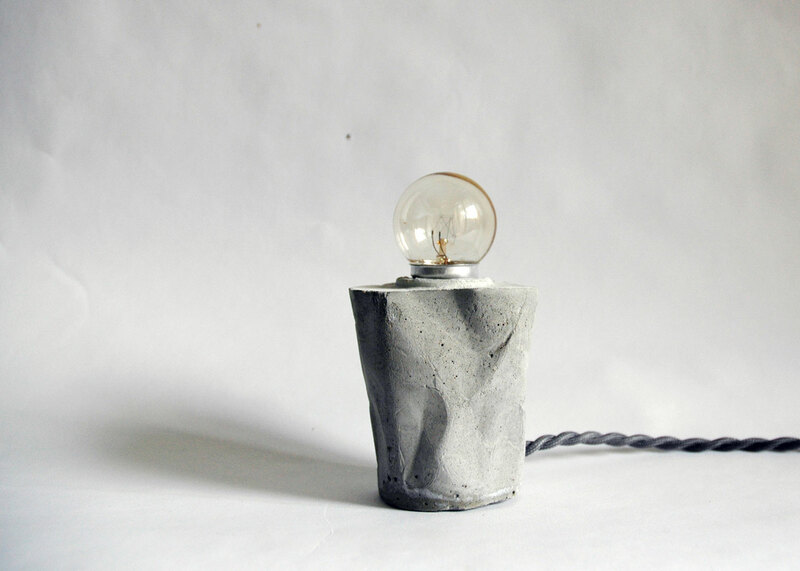 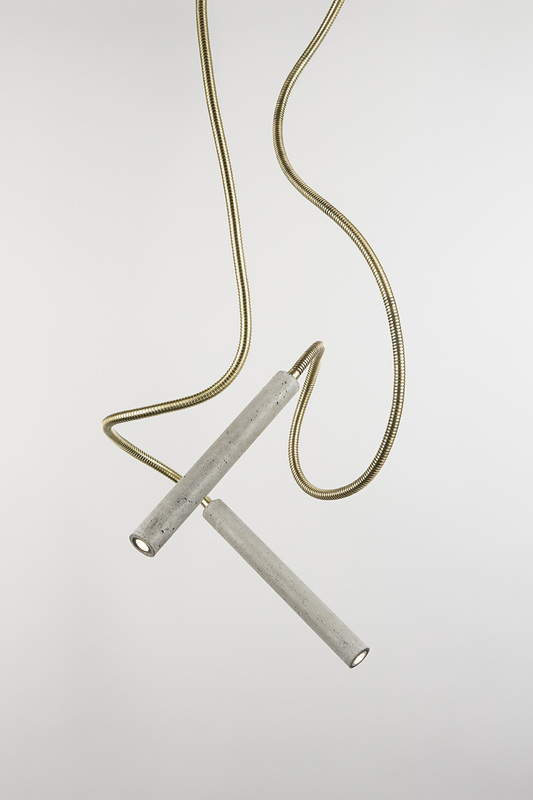 uses wire and concrete to create his industrial T-Light Series. 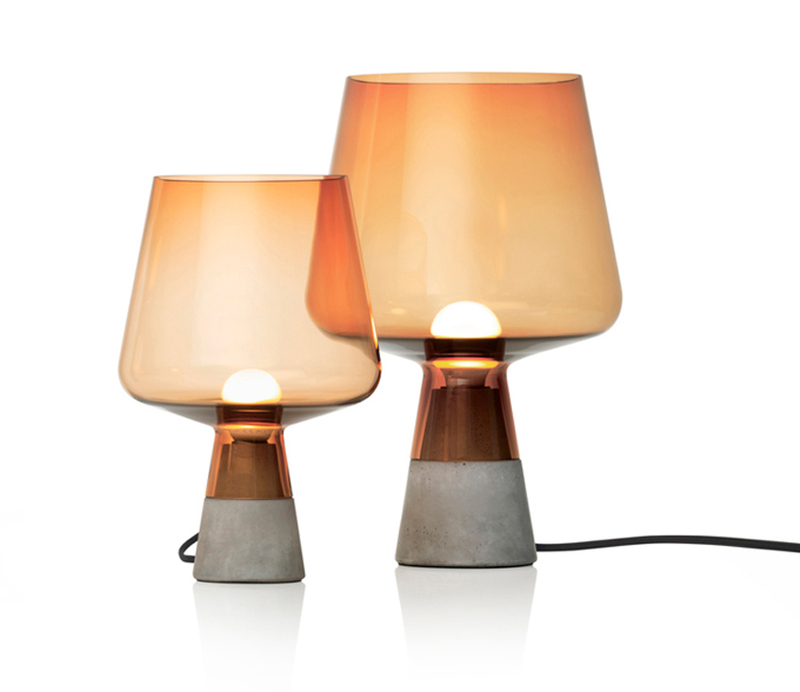 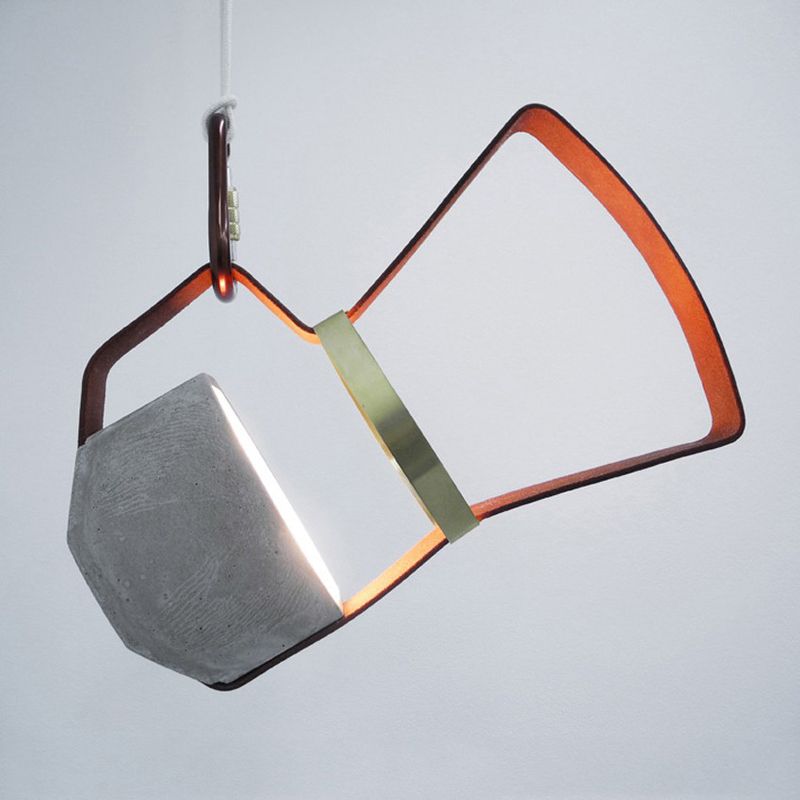 Enormous love for the sculptural organic form and used of smokey glass in Stilsucht’s Leimu Light. 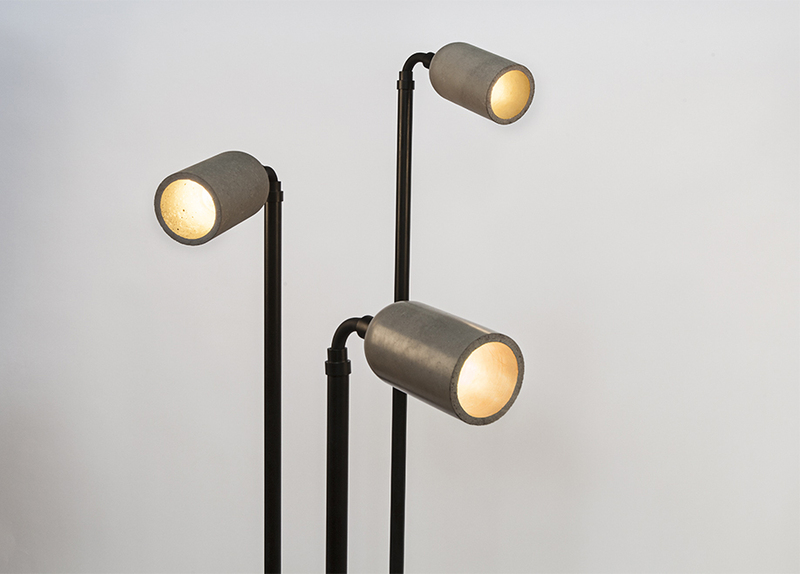 Insect-like in structure, Magno Tube Lamp features a metal stem that can be positioned upright or at an angle thanks to its magnet-embedded concrete base. 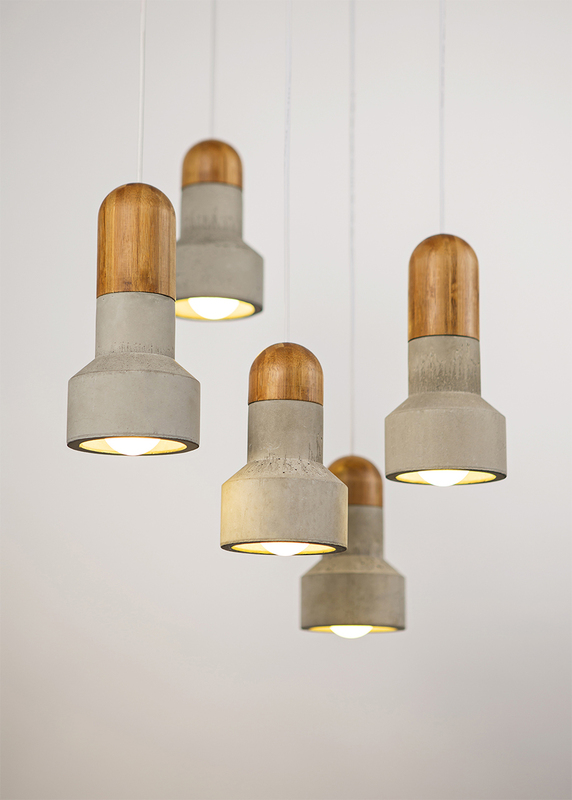 Smooth, matte and earthy, we love the organic style of hand-cast Heavy Lights. 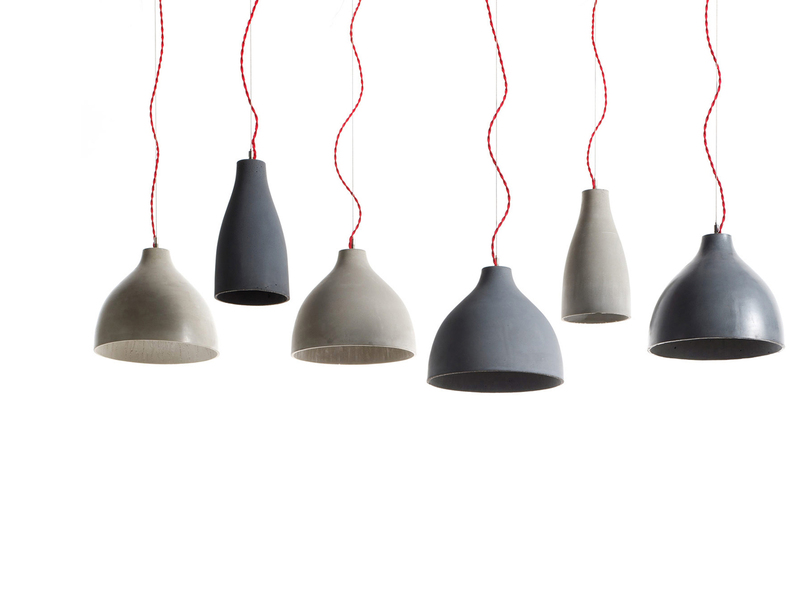 Mika Pendant features grainy textured concrete and a timber base – a minimalist yet organic object that easily compliments both traditional and modern interiors. 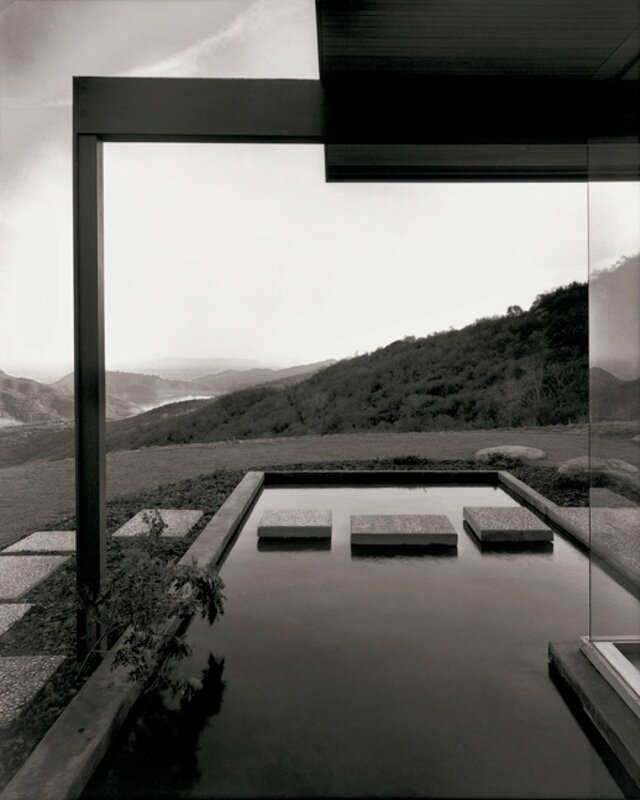 A Black House in the Forest in Normandy, France by Marchi Architectes.